The Russian air force will start to take delivery of initial production versions of the Sukhoi Su-57 PAK-FA fifth-generation fighter starting in 2018. Those initial aircraft will mostly be used for training. The Russians expect to complete development of the initial version of the PAK-FA in 2019. “The T-50 or the Su-57 plane is to be rolled out. It will start arriving for troops from next year. Pilots will be learning to operate it,” Col. Gen. Viktor Bondarev, commander of the Russian Aerospace Forces said in an interview with the Rossiya 24 T.V. Channel according to the TASS news agency. Bondarev’s statement does not match up with previous statements made by United Aircraft Corporation, which has stated it would deliver 12 Su-57s in 2019. “In 2019, we should begin the delivery of a pre-production batch of [T-50] planes,” United Aircraft Corporation chief Yuri Slyusar told TASS. 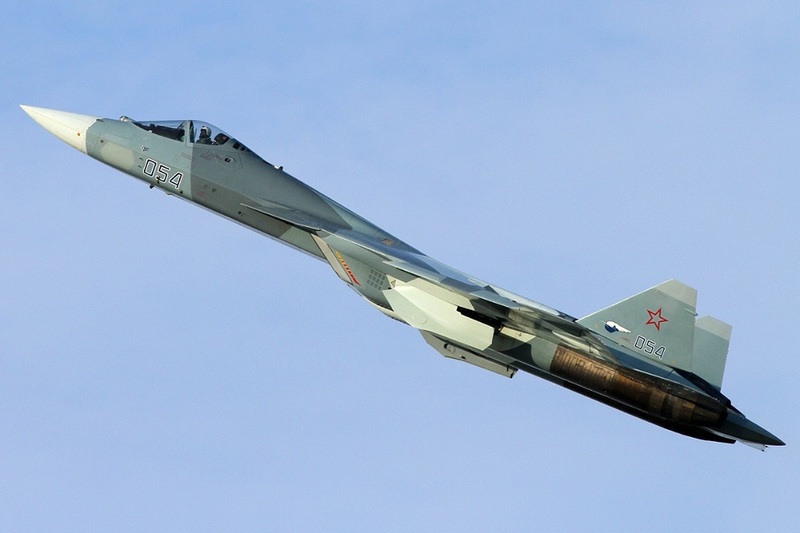 It is not clear how many PAK-FA aircraft the Russians will ultimately buy. The Russians are less than enthused at buying the initial version of the Su-57 because the stealth fighter is currently powered by interim Saturn AL-41F1 afterburning turbofans producing 32,500 pounds of thrust each. That is a slightly modified version of the same engine in the existing Su-35S Flanker-E, which uses many of the same systems that the Su-57 will. Indeed, with exception of stealth, the new Flanker offers much of the same capabilities as the Su-57. Thus, the Russians are unwilling to spend money on a system that offers only a marginal increase in performance, in their view. The Russian Aerospace Forces would rather wait for the more capable second iteration of the Su-57. The Russians intend to buy more of the second, improved version of the Su-57, which will feature a new engine and other enhancements. The Russians are continuing to develop the next-generation Saturn izdeliye 30 engines for the T-50. There are few details available about the izdeliye 30 engines, but the new powerplant is expected to deliver 24,054 pounds of dry thrust and 39,566 pounds of afterburning thrust. The new engine is expected to make its first flight installed onboard the PAK-FA in the fourth quarter of 2017 and should be ready for use in 2025. The Russian air force could buy as many as 160 of the next iteration of the Su-57 — but that number is likely to be subject to revision depending on the Kremlin’s financial situation. Meanwhile, Russian industry is already looking ahead to the sixth-generation follow-on to the Su-57. Like the U.S. Air Force and the Navy, the Russians are looking at a wide range of concepts including manned-unmanned teaming, directed energy weapons and hypersonics. The Russians are also looking at novel radar and electro-optical sensor technologies that seem designed to counter stealth.